Was Twitter a “Stupid Idea”? Above artwork by the amazing Meredith. Click here to subscribe: get bonuses and updates on The Power of Starting Something Stupid. Case in point, Twitter? What on Earth was/is stupider than Twitter? Yet I challenge you to name anything that has had as profound an impact on the world of social media (in the entire history of the Internet). Sure, it’s easy to look at the major micro blogging platform we now know as Twitter and immediately see the brilliance behind it—but at it’s inception? Do you think you would have seen the potential, the sheer genius? (If so, high five. You’re likely very far outside the norm.) The truth of the matter is that in the early days, nobody got it. Even some of Twitter’s own engineers weren’t convinced of it’s viability. Nevertheless, they pressed on with their high and mighty (and fantastically grandiose) goal, “to change the world.” As in, their goal was literally to take this idea that everybody else said was stupid, and change the world. Here’s what “twttr” looked like before it became Twitter. Photo by Jack Dorsey, co-founder of Twitter. Click on the link above to read the backstory in Jack’s own words. You’ve got to get your goals/dreams out of your head, and down onto paper where they belong. The journey of a thousand miles starts with a single step, isn’t that what they say? In the world of dreams and goals, the first step is putting a pen to paper . . . it’s how you really own what you want out of your life. lack of time wasn’t an issue? lack of money wasn’t an issue? lack of education and experience weren’t issues? —I have finally adopted Twitter (I can hear jaws dropping all over the world). I may have been slow to jump onboard, but I’ve posted more than 200 tweets chock-full of happy quotes, pictures and good news, to help myself, and whoever else sees them, stay inspired and make the most of each day. Twitter is more fun than a barrel of monkeys, well maaaaybe. . .a barrel of monkeys would be pretty fun, too! Either way, you can follow me here. 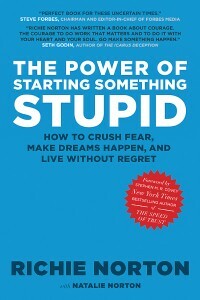 —My book The Power of Starting Something Stupid has been (the most challenging and) the most important project I’ve ever worked on. I’m thrilled with the way it’s coming together. I can’t wait to share more information with you soon! Stay tuned! What’s up Richie!! 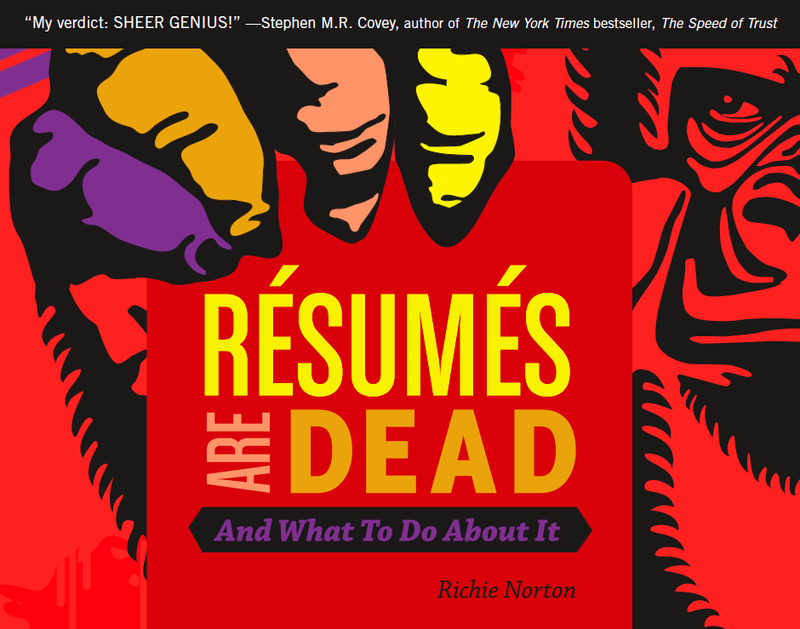 Just want to say that i have been in a funk lately…but I re-read your book resumes are dead and it reminded me to keep doing what I love to do and to do more with the skills and passions that i have been blessed with. Mahalo braddah!! You’re awesome, Aaron! Thanks for the nice note. I know what funks are like. No fun. Glad something in the book helped. Keep making waves! love the idea of pursuing your dreams as real possible things. that is not my natural mindset! Thanks richie! and thanks again for the kindle fire! still loving it! Thanks SO much, Kim!!! You’re awesome. Glad the Kindle Fire is keeping you warm. :-) Thanks for following the blog. I LOVE THIS POST RICH. LOVE. LOVE. LOVE. AND I LOVE YOU! YOU’RE MAKING SUCH POSITIVE CHANGE IN THIS WORLD. I’M PROUD YOUR MIND. *proud your MINE, not MIND, because that means nothing. Our stupid idea is to build the best castle ever. We are building a website first that will be a planning ground for the castle as well as the top destination for info about castles and the middle ages. reason for trying to make the site popular is to attract the thousands of people with different skills and abilities that will be needed to pull this off. It’s amazing to visit this website and reading the views of all mates regarding this piece of writing, while I am also zealous of getting familiarity.